How Long Do U.S. Passport Renewals Take to Process? 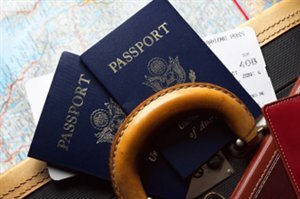 If you already have a U.S. Passport Book, you may be able to apply for your U.S. Passport Book by mail – without going through the hassle of applying in person. Also, if you are a previous U.S. Passport Book holder and you are eligible to use Form DS-82, you may apply for a U.S. Passport Card as a renewal by mail. For purposes of this article, any reference to "U.S. Passport" means the U.S. Passport Book (as opposed to the U.S. Passport Card). Next, we’ll explore the requirements to renew your U.S. Passport by mail.